Gaming has always been the best time killer for people all over the world, but during the last decade, gaming has become something more than just a time pass. We see people obsessing over video and mobile games a lot. One such game which has made a lot of people to obsess over it is Pokémon Go. This very interesting game is played and loved all over the world. Moreover, the obsession and the love of people for this game is so high that people even look for hacks to master this very amazing game. 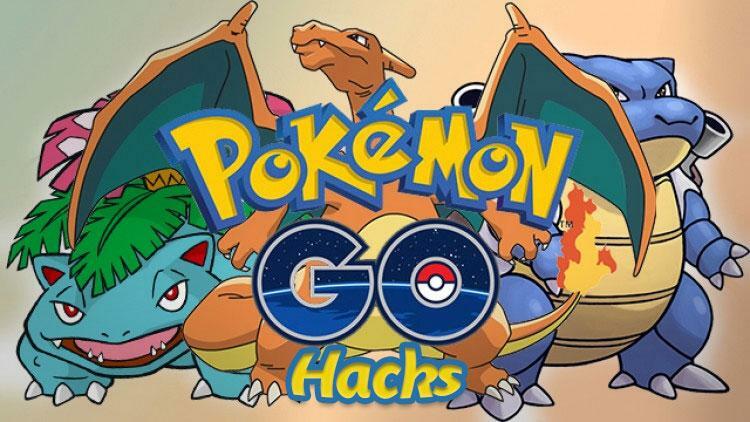 Not much is available on the internet when it comes to Pokemon GO Hacks, and hence, this article will provide you with some of the very amazing hacks. Below mentioned are some of the hacks for playing the game on Android and iOS. Spoofing on an Android device is a bit more complicated than iOS. I’ll attempt to make this as clear as possible. According to Niantic, Pokemon GO should operate on Android devices which have version 4.4 or higher installed. This translates into Android KitKat, Lollipop, Marshmallow, and Nougat. Other requirements include 2GB or memory and a GPS antenna. Install Pokemon GO in your Android to ensure that you can at the very least play normally. It is possible to spoof an almost any version of Android. Some version of Android make it easy to spoof while other versions are more involved. 1. Install the latest version of the Pokémon go application on your smartphone. 2. Install the free application named FLY GPS from the play store in your mobile phone. 3. Open up the settings section and go to the about device option in that, after this you will have to locate the build number of model of the mobile phone that you are using for playing the game. 4. Now you will have to tap on the given build number on your mobile screen, and this will lead to activation of the develop mode. 5. Go to the settings app and choose the developer mode from the listings. 6. Now all you have to do is just tap on the option of the mock location and then select the option of the FLY GPS from the list. 7. It is essential for the location history and the high accuracy option to be enabled. 8. Now, start up the FLY GPS application and then enter the location that you are in at the moment. 9. The final step will ask you to select the option of the GPS service Run and following that select the joystick location mode, and you are just good to go! Spoofing on iOS can be a much better experience, it is best that you understand what you’re getting into. To spoof on iOS, you are using an unofficial / modified version of Pokemon GO. When program developers modify the app, it is likely that the app will not be as secure as an unmodified app. In general, Android users don’t have app crash issues as they are playing with the official versions of Pokemon GO out of Niantic. 1. Install the latest version of the Pokémon go application. 2. Download the application of Cydia impactor on your computer. 3. Now you will have to connect the iOS device to your computer through a data cable. 4. Start with launching the Cydia impactor application on your computer. 5. Now, drag the Pokémon go app and drop in on the Cydia impactor application installed on your laptop. 6. You will be asked to enter your email as well as the password, follow that. 7. Now you will be shown a warning message from the Apple developer, click OK to that. 8. To the setting menu, followed by general and then profiles and then finally tap on the device manager. 9. You will be asked to confirm the Apple ID, following that just tap on the trust option given for two consecutive times and you are good to go! Best IPTV Addons for Kodi Free and Paid - Best Guide!